Scars Helps improve the appearance of both new and old scars. Stretch Marks Helps reduce the possibility of stretch marks forming during pregnancy, teenage growth spurts and periods of rapid weight gain, and helps improve the appearance of existing stretch marks. Uneven Skin Tone Helps improve the appearance of uneven skin tone in both light and dark skin types. Ageing & Dehydrated Skin Helps smooth and tone ageing and wrinkled skin on both the face and body, and helps retain moisture. Purcellin Oil? 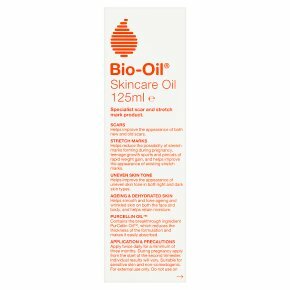 Contains the breakthrough ingredient PurCellin Oil?, which reduces the thickness of the formulation and makes it easily absorbed. Application Apply twice daily for a minimum of three months. During pregnancy apply from the start of the second trimester. Individual results will vary. Suitable for sensitive skin and non-comedogenic. PRECAUTIONS<br>For external use only. Do not use on broken skin. In the unlikely event of skin irritation, discontinue use. Avoid contact with eyes. If product gets into eyes, rinse thoroughly with water. Keep out of reach of children.